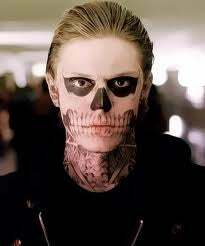 I like Evan Peters. I enjoyed him in the previous two seasons, but they couldn't get him a dialect coach for this season? While playing someone from New Orleans, he pronounced "ward" like he was a townie from Boston. Did Ryan Murphy explain to him that he's playing a different character this year? As for the larger complaints about Episode 1, I will leave those alone.